Indian troops guarding the LoC retaliated effectively and the firing between the two sides was going on when the last reports came, a police official said. Jammu: Pakistani forces today again targeted Indian forward posts and villages in Jammu and Kashmir's Poonch district, a day after an Army major and three soldiers were killed in firing from across the Line of Control (LoC). The latest ceasefire violation comes a day after the Pakistani forces opened fire on an Indian Army patrol, killing a Major and three soldiers, in Keri sector of the state's Rajouri district. The Pakistani troops started firing from heavy and light weapons from across the border, targeting forward posts and villages in Shahpur sector around 12.55 pm today, a police official said. However, there is no immediate report of any casualty in the skirmishes, the official said. Jammu and Kashmir witnessed a total of 881 ceasefire violations this year, highest in the past seven years, along the LoC and the International Border (IB), resulting in the death of 34 persons. 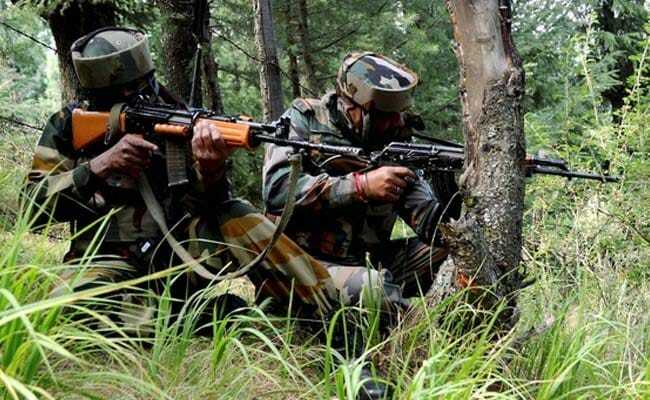 According to officials, Pakistan has violated ceasefire along the LoC in Jammu and Kashmir 771 times till December 10, and 110 times along the IB till November-end this year. Thirty persons -- 14 Army personnel, 12 civilians and four BSF personnel -- were killed in such incidents. The truce between India and Pakistan along the International Border, Line of Control and the Actual Ground Position Line in Jammu and Kashmir came into force in November, 2003. In 2016, there were 449 incidents of ceasefire violations wherein 13 civilians and 13 government forces personnel were killed and 83 civilians and 99 security personnel were injured.